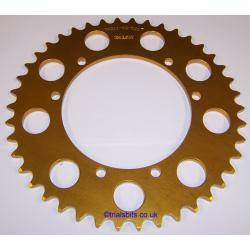 A Talon Rear Sprocket for Montesa Cota 248 348 349 350 307 309 310 330 models, supplied with 33, 38, 40, 42 or 44 teeth. The drilling pattern on these sprockets does vary. Please choose your preferred one from the dropdown.